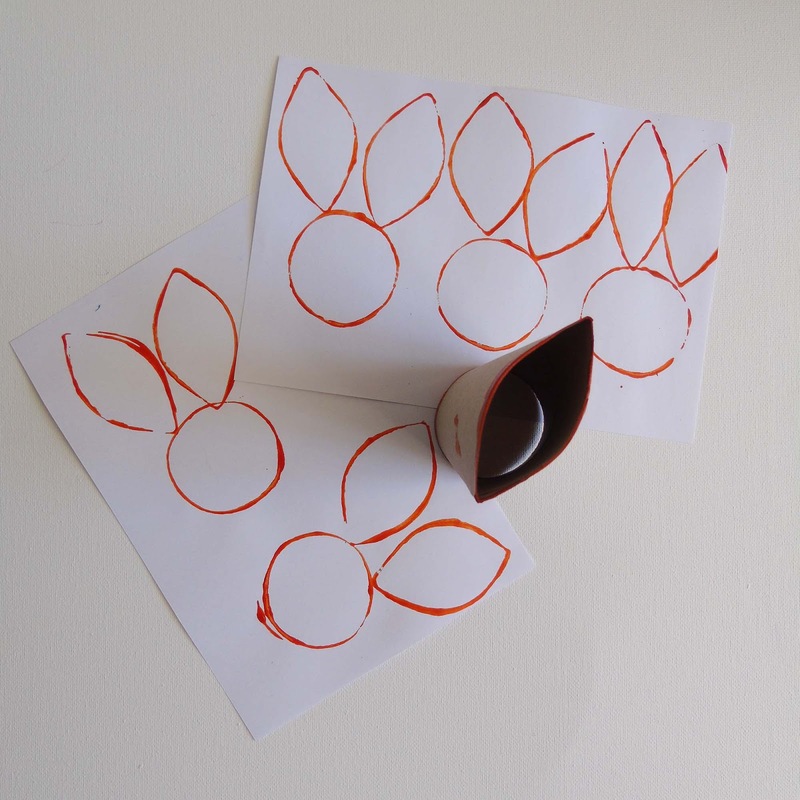 Aren't toilet roll tubes one of the most useful resources for crafting with children? There's a 101 uses for these cardboard cylinders and I always like to hold a few back from the recycling box. 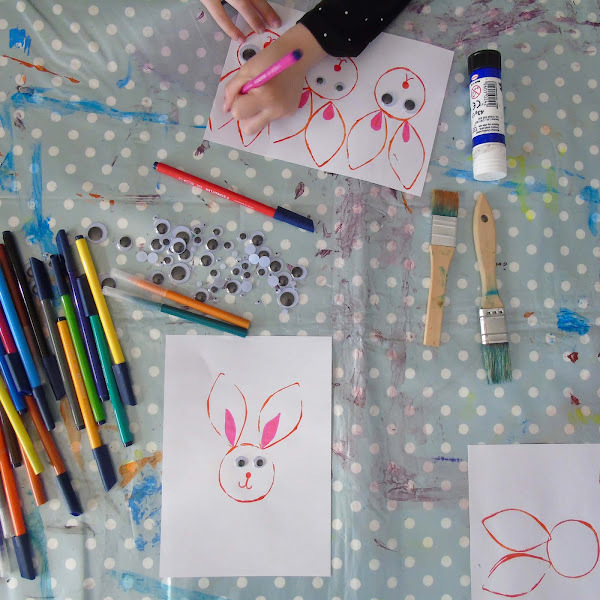 This week we made some Easter Bunny Bunting using loo roll tubes to create the printed outline. This super-simple craft is perfect for trying out over the Easter weekend. 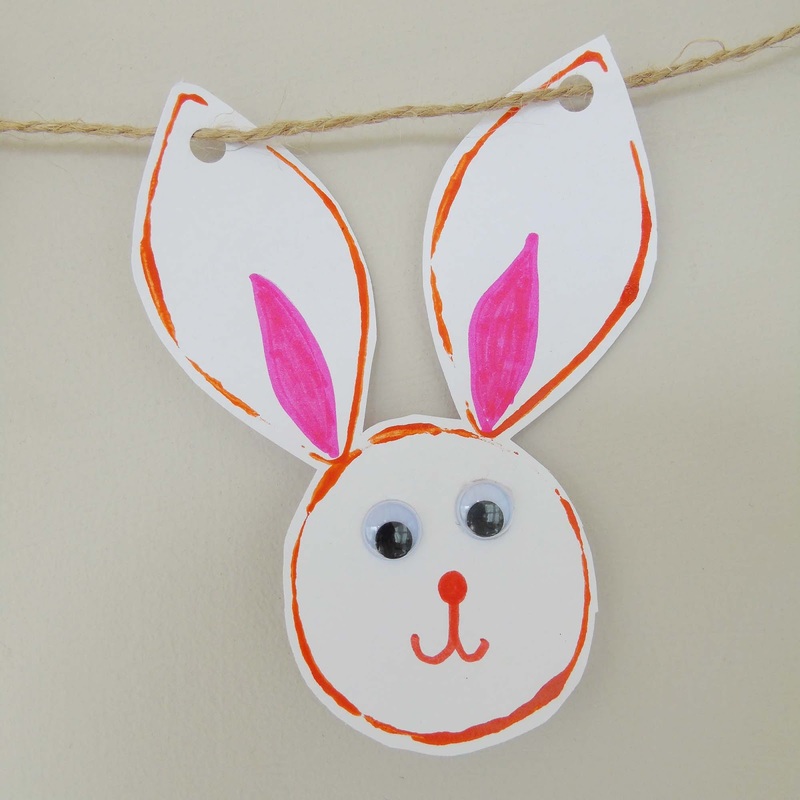 Simply use one end of the toilet roll tube to print the round face of the rabbit. Then flip the tube round, press and squeeze in two places to make the ear shape. Dip your toilet roll tube in paint colour of your choice and then print away. 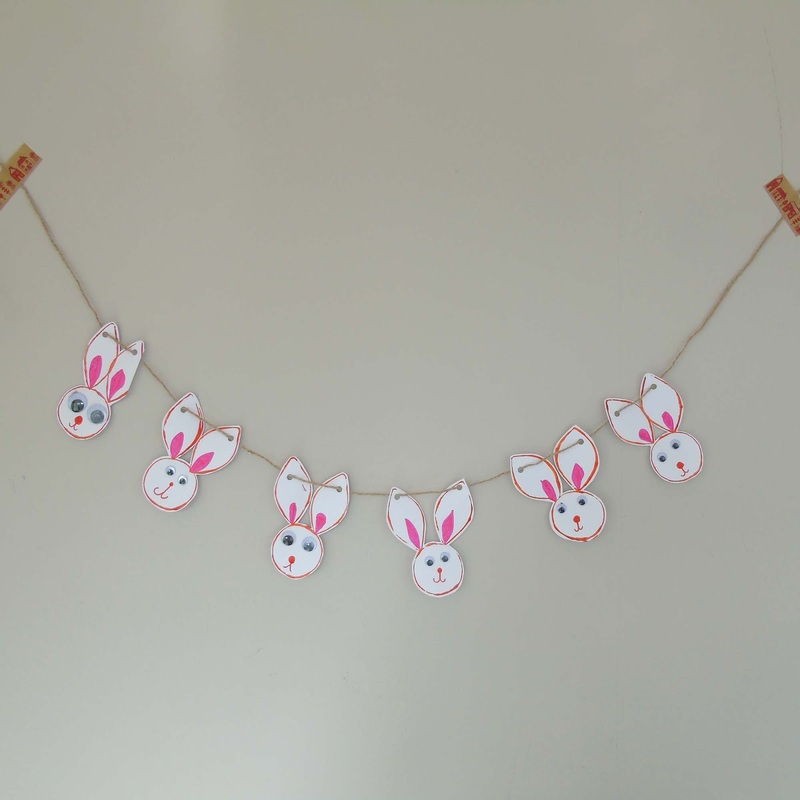 You can make as many as you like, depending on how long you want your bunting to be. Then leave your printed bunnies to dry. Once dry you can start adding some detail. 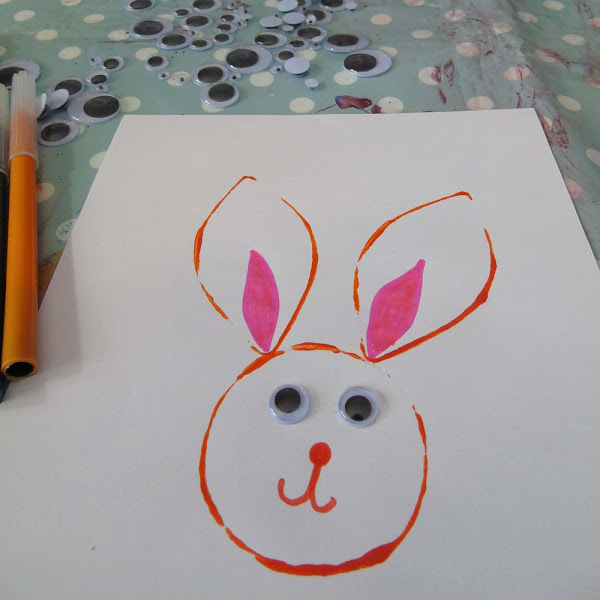 We added googly eyes and some other details with felt tip pens. Don't try to be too uniform...each one of our bunnies is different and I think it adds to the overall effect. Next we made some holes in the ears using a hole punch. And there you have it, your completed Bunny Bunting! 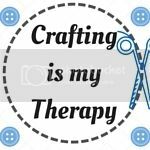 Come and join the "Crafting is my Therapy" Instagram Community. Use our monthly hashtag to add your creative images to the Crafting is my Therapy gallery. 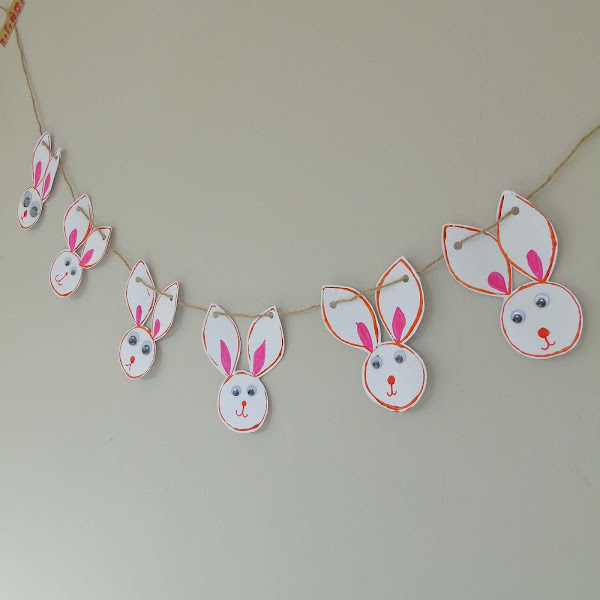 I love this, we are making Easter fabric bunting tomorrow for the fairy gardens. I was wondering what to use as a template for the children, this will work perfectly! Thank you so much for the idea. I love these! I always keep a stash of toilet roll tubes around the house as well, always useful to have on hand! These would also be great if you wrote the child's name across them one by one.